The vibe at the Brit awards is always electric - and this year the amazing talent did not disappoint. Ed Sheeran has tweeted that he was "speechless" after picking up two awards at the Brit Awards. He also paid tribute to George Ezra, calling him a "career artist" and congratulated Sam Smith and Taylor Swift for their awards. Congratulations to everyone else too, @samsmithworld you champ @taylorswift13 congrats on your 1st ! Ed Sheeran's X has been named Mastercard British Album of the Year at the Brit Awards. "Keep making music," Sheeran told the crowd as he took the Brit. One Direction have received British Artist Video of the Year - the second time they have won the award. Picking up the award on their behalf, Simon Cowell thanked 1D for being "absolutely amaxing". 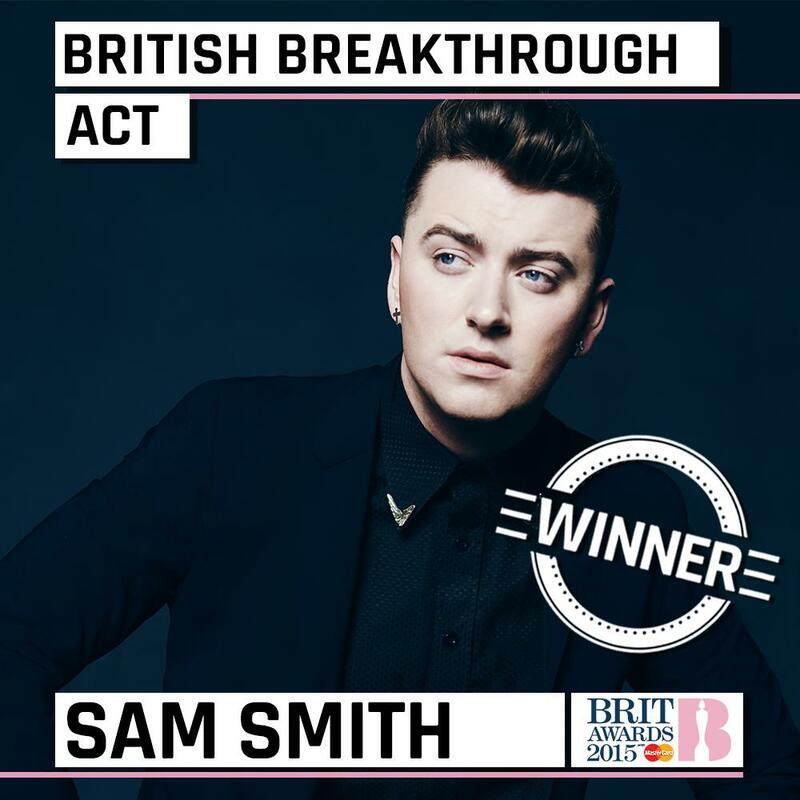 Sam Smith has taken home the Brit for British Breakthrough Act - the award the singer said he wanted the most. 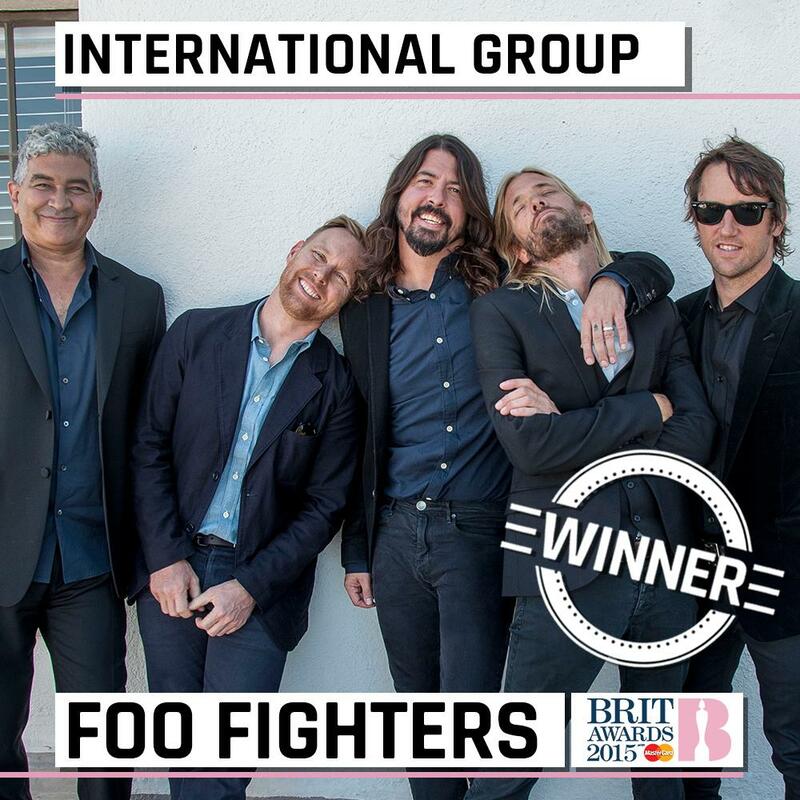 The Foo Fighters said they were "proud" to pick up the Brit Award for International Group. Mark Ronson and Bruno Mars have won British Single for the smash hit Uptown Funk. Winner Taylor Swift said she was "way too excited" to be honoured with her first ever Brit Award for International Female Solo Artist. Speaking after accepting her trophy, the global pop superstar said the gong had cemented her eight-year "love affair" with the UK. Kanye West's live performance at the Brit Awards had to be constantly muted due to explicit content. Even the Mobo Awards noticed the unusual silence while Kanye was on stage. Dear #BRITAwards, can we get the unmuted version. Please and thank you. 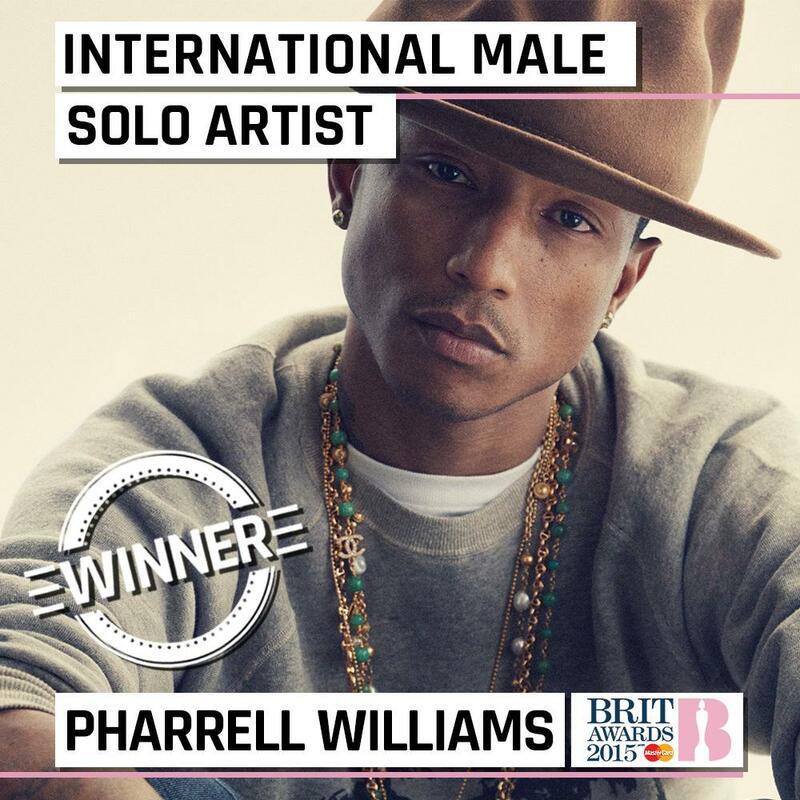 The Brit for International Male Solo Artist has been awarded to Pharrell Williams. As Pharrell was not at the ceremony a video message was played to the crowd. Will Sam Smith repeat Grammy success at Brit Awards? Who is set to follow Adele and win top Brit prize?